Date: Saturday, May 19, 2018, 2:00 P.M. Many years ago, John, Peter, Esther and I had practice Beethoven Piano Trio Op. 11 in Bb major -- https://www.youtube.com/watch?v=J0EQkcuNp7k and we will try again this time. We are grateful to Mr. Peter Yang who had done excellent video recordings for the performance of our Ensemble. Beginning on April 12, 2016, our ensemble rehearsed selected Taiwan Folk Songs arranged by Masaaki Hayakawa. 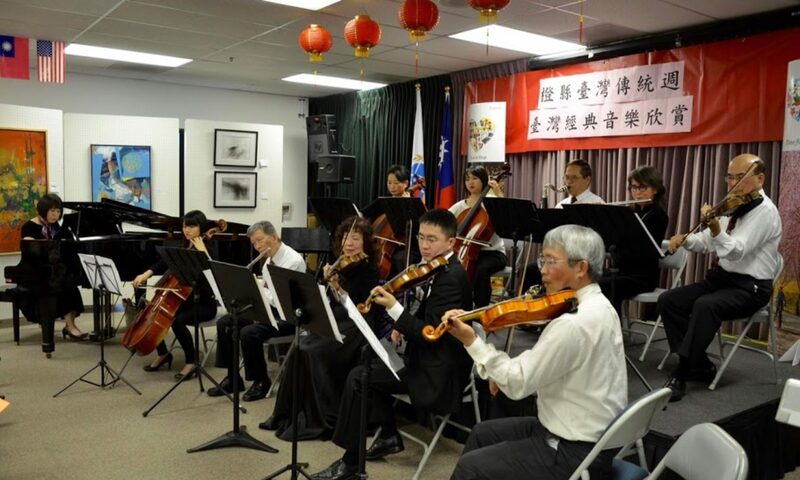 On May 21, we were invited by Taiwan Economic and Cultural Center to perform during Taiwanese American Heritage Week (2016 橙縣臺灣傳統週 臺灣音樂欣賞 ) at their Orange County office. Our rehearsals continued with new Taiwan Folk Songs and recently, we switched to Baroque period music, on J.S. Bach compositions. In the past, we had rehearsed Bach’s Orchestral Suite #2 and performed in two occasions: (1) 2013 Taiwanese American Heritage Week, and (2) NTU Alumni Choir Concert. In both concerts, we have violins, piano (substitute cembalo), bass clarinet (substitute cello), without viola. This time, we want to rehearse the music with a full string ensemble and piano. Another music piece we selected is J.S. Bach’s Brandenburg Concerto #4. Marie will play the recorder, Grace on flute, Samuel on violin solo with the string ensemble and piano. Dutch Bach Society (Nederlandse Bach Vereniging) started in 2013 the All of Bach program –performing and recording of all the works of Bach and published the works on line. Each composition is moved by musicians and equipped with necessary basic information for public. Dutch Bach Society was founded in 1921 and is likely the oldest Bach Society established in the World. Bach’s Orchestral Suite #2 and Brandenburg Concerto #4 had been performed and published in All of Bach. Their performances are superb, and we love their interpretations of the music. In the next few months, we would like to complete the rehearsals and perform the music in public concerts. 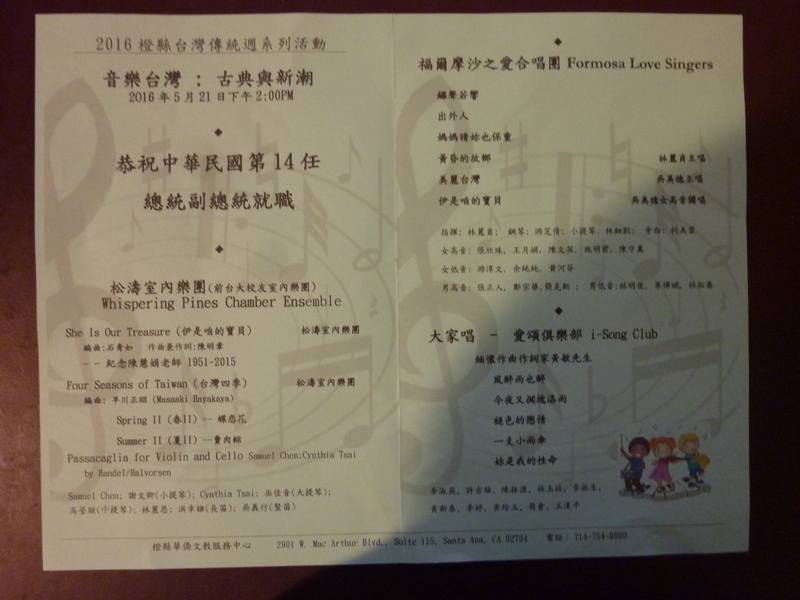 September 8, we were invited by Orange County Taiwanese Community Groups to play in their “Love Taiwan Night” concert at Taiwan Economic and Cultural Center in Santa Ana, CA.